Now that the holiday season is upon us, its time to pay extra attention to those who need it most. Edisto Island offers a variety o f organizations that work tirelessly to help the community. 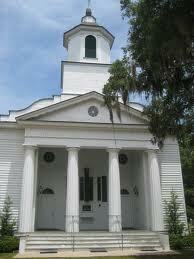 Food is always needed at the Edisto food pantry located at the Presbyterian Church on Highway 174. Many Edisto families depend on the donations made by the community so contributions are desperately needed. There are many ways to donate to the Edisto food bank. As always, any food donated must be unopened and non-perishable. Donations can be dropped off at the church anytime during the work day. In addition to food, common household items are also needed like toothpaste, soap, dish washing liquid, detergent, and anything else that youd typically stock up on during a visit to the grocery store. The food pantry also accepts cash donations and Piggly Wiggly shoppers with a Pig card can donate their Greenbax. The next time youre at the store, pick up a few extra items for the food pantry so that nobody on Edisto goes without the basic necessities. Clothes are also desperately needed for all ages and sexes. The Methodist Church operates a used clothing store called the Clothes Closet on the island every Monday from 10 to 1 and again from 3 to 6. All items are easily affordable with nothing more than $10. The volunteers who operate the Clothes Closet will work with any customer who needs financial assistance to purchase clothing. Donations are always accepted and can be dropped off every Monday while the store is open. This store provides Edistonians with a chance to donate their used clothing and household items like sheets, towels, and blankets without having to drive all the way into Charleston. In addition, all of the donations are used locally (if anything is not used for whatever reason or is not able to be sold at the Clothes Closet, it is sent to Goodwill in Charleston). So now that Christmas is just a month away, consider donating to either one of these organizations and help give the less fortunate on Edisto a holiday season to remember. Also before and during the parade on December 10, 2011 the Church elves of Edisto will be collecting for the Food Pantry in trucks, carts, and wagons. The trucks will be parked at the Edisto Beach Baptist Church on Jungle and also at the Piggly Wiggly before and after the parade. Give a gift give a CAN for the food pantry.